It’s interesting – I finished my uni exams at the end of 2007, then left Melbourne for London for 18-months. So far this trip has been different to my London one. Not just because it’s a different place, but because I’m different. I don’t seem to know how to relax here – I’m not sure if it’s because I’m not as tough as I was when I first started travelling, but I feel a bit like being taken care of, as if I’m not ready to rush into the French rat-race just yet. I left home because I didn’t want to be trapped in a 9-5 world that wasn’t leading anywhere. I wanted to be free, yet I don’t seem to have found the escape for which I was looking. I know that I shouldn’t be expecting my life to sort itself out immediately, and that it’s difficult to be carefree when I don’t have a permanent roof over my head or an income coming in, but I almost wish that I already knew whether or not I was going to find work soon. If I knew that I wasn’t, then I could go travelling for a couple of months. If I knew that I was, then I could commit to life in Paris. I haven’t been committing yet. Formerly I would have immersed myself immediately. If someone started talking to me, I would have a conversation in French. I would compensate for any of my verbal failings with laughs and batting eyelashes; playing on the flirtatiousness of the language. This time I have been lazy. Torn between wanting to stay here and wanting to travel, having a friend from London here for my first week also prevented immediate immersion. Then, as I realised how bad my French had gotten, I avoided speaking. If someone spoke English, I wouldn’t even try, and if someone approached me in the street, I would pretend that I didn’t speak French. 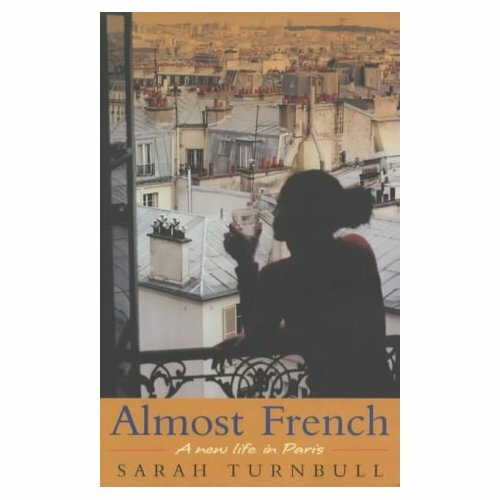 On the plane, I started reading a book that I received as a gift before I left – Almost French by Sarah Turnbnull. It’s an Aussie journalist writing of her experiences in Paris. On my second day here I was reading it when my visiting Londoner was napping – I was so frustrated that I was merely reading about Paris instead of experiencing the amazing world that was right on my doorstep! Now, one week later, I don’t want to put it down. I’m in the final couple of chapters and I’m trying not to read it too quickly, because once I finish I’ll be forced to have my own adventures instead of vicariously devouring someone else’s. It’s like I’m about to lose a friend who had already experienced everything I’m going to, and then it will just be me against the world.